The South Australian Government introduced a new pilot program; the Supporting Innovation in South Australia (SISA) program. This is a pilot program promoting entrepreneurialism and innovation in South Australia. It intends to enhance the present agendas of the region’s entrepreneurialism and innovation. 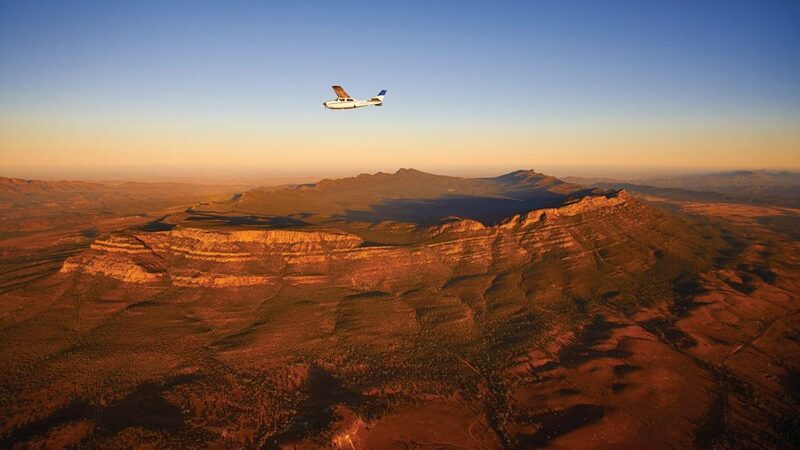 SISA is seeking to attract overseas nascent entrepreneurs, who are committed to develop their concepts in South Australia, add value to the local innovation eco-system, create jobs, and increase its number of business start-ups. One will not have to wait long for his/her visa if all the Department of Home Affairs’ criteria and the South Australian requirements are met in its entirety. The program will run over a span of three years, November 2018 – November 2021. • New entrepreneurs will be connected with key events and activities occurring in the local eco-system, which could help the local business flourish. • The Chief Entrepreneur shall promote engagement among key entrepreneurship services across the industry and tertiary education sectors. • Overseas entrepreneurs will serve as a bridge of access between their own overseas networks and the local entrepreneurs, so that they can promote their start-ups or businesses overseas. • Investors can readily identify opportunities to back emerging and growing businesses which will create jobs for young, talented South Australians who will then remain in the State and become successful. • The South Australian Government, business and community will work together to support overseas and local entrepreneurs to create start-ups; build successful businesses and go global with their established businesses, while maintaining their head office in South Australia, which will continue to create jobs for South Australians and improve the economy of South Australia. 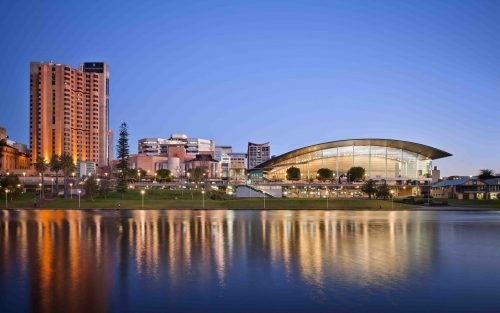 • This environment will encourage overseas and local entrepreneurs to share their experiences, skills and talent; exchange ideas; collaborate and develop further the South Australian innovation eco-system. This will subsequently make a positive impact on the Australian innovation community. • Successful overseas and local entrepreneurs shall serve as a guide for future entrepreneurs. You must meet all the criteria defined by the Department of Home Affairs and the requirements of the South Australian Government for the Supporting Innovation in South Australia (SISA) – Temporary Activity (subclass 408) visa. Applications shall be submitted under the Australian Government Endorsed Event stream of Temporary Activity (subclass 408) visa. The general processing time for Immigration SA visa is 8 weeks for Service provider category, and 12 weeks for the Office of the Chief Entrepreneur. The visa duration is up to three years, depending on the time of visa grant. As it is a pilot program, all visas will eventually expire on 30 November 2021. • proof of sufficient funds to support yourself and any eligible dependent family members included in your application. -If you are successfully granted a SISA – Temporary Activity (subclass 408) visa, you need to comply with all the obligations listed in the endorsement application. – Throughout the duration of your Temporary Activity (subclass 408) visa, you will continue to be involved in the South Australian innovation sector. -Maintain your status as a primary residence in South Australia and contribute to the region’s economy and community throughout the period of your visa. – The main applicant must be under 45 years of age at the time of the endorsement decision and subsequent visa application. You need to provide proof of English Language skills. However, citizens and passport holders of the United Kingdom, New Zealand, United States of America, Canada, or the Republic of Ireland are not required any such proof. -In case of being on a subclass 485 visa, the applicant must be currently engaged in a structured program offered by one of our identified South Australian innovation eco-system providers. The provider will support your application to be considered. • The proposal is a genuine innovation, and reflects a concise, competitive advantage. • The applicant intends to develop a start-up project in South Australia in any industry sector. However, proposals in the industry sectors/areas that are in the region’s priority list shall be given preference. • The applicant has been endorsed by a selected service provider who/that has reviewed and approved the project proposal, idea or concept . • The proposed project has a great potential to create local employment and export revenue for South Australia. • At least 50% of the project’s assets and at least 50% of the project staff are located in South Australia during the period of Temporary Activity (subclass 408) visa. The applicant needs to ensure that he posses sufficient funds for initial settlement in South Australia (funds for any dependents should also be included at the time of applying). However, evidence of financial capacity is not required. Additional information or evidence, if necessary, might be asked by the immigration SA at a later stage, depending on whether the applicant is offshore or onshore. 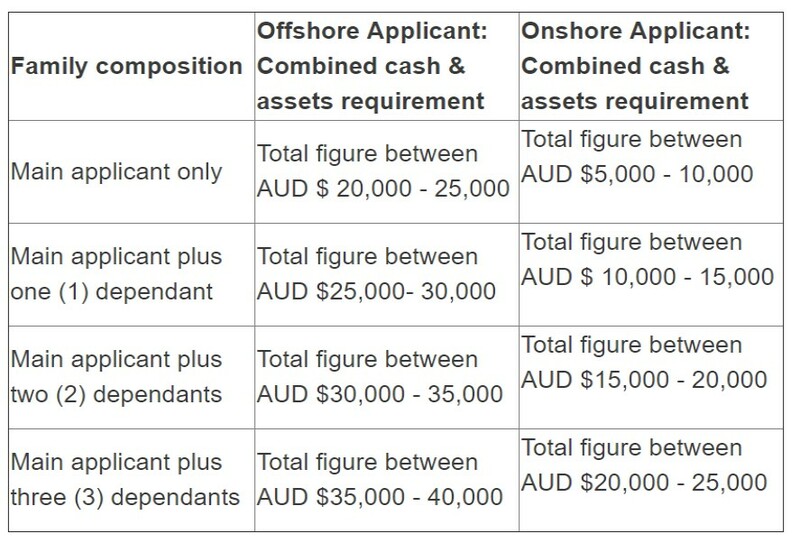 The applicant must have a combined cash and assets within the range listed in the table below. It is advised by the Immigration SA that at time of arrival, offshore applicants should have at least $20,000 in cash and onshore applicants should have at least $5,000 in cash for initial settlement. Any asset should not be disposed before the visa is granted. At Immigration Experts, we provide Australian Business Immigration services along with various other immigration options. If you are interested in starting a business in Australia, we recommend you to contact our professionals to get the best possible outcome. Our professionals will guide you on every matter in a very brief manner, which provides you a better idea about your future. Send your CV at WeCare@immigrationexperts.pk for your free assessment.